ELC Giant Bubble Mix - 1 x 1045 ml (37 fl o..
Join the fun, blossom farm animals for playtime. 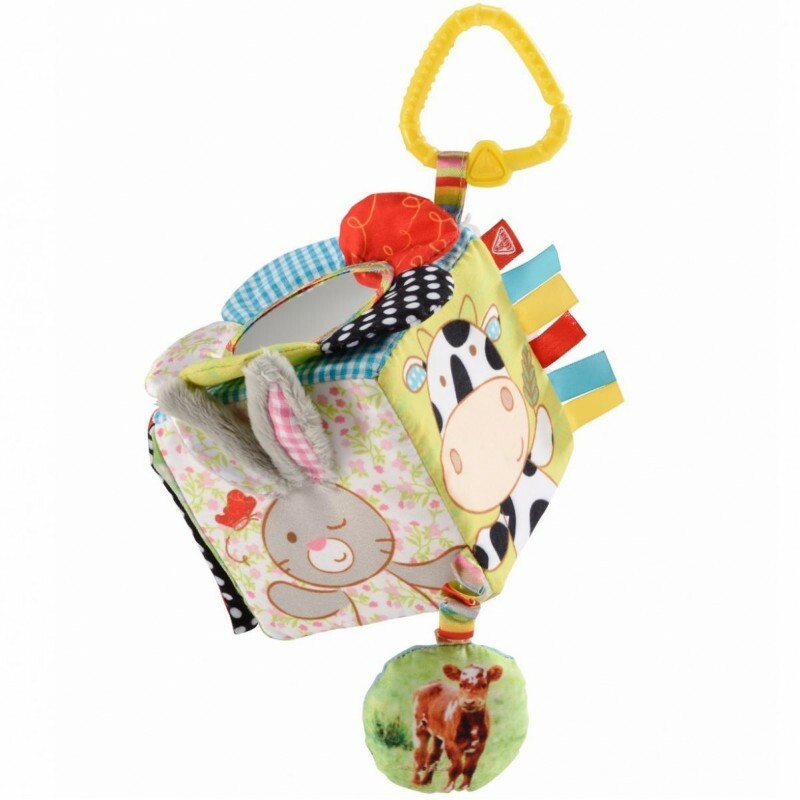 With so much for little hands to explore and discover, this soft, fabric activity cube is designed with fun on every side. Little ones will love to feel the different textures - the silky ribbons and the soft, fluffy bunny ears. They can squish the flower petals to hear a crinkle sound and play peek-a-boo in the baby safe mirror, find the hidden animal friends and hear the squeak and rattle sounds. With a handy c-clip to attach to pushchairs, cots and car seats, this fun activity cube will provide lots of fun at home or on your travels from birth.